Let you guys know about the current/future work we are doing etc. Help us reflect and record all the things we have been up to over the months and years. Sharing how we are spending your donations. So the month of May was a very exciting month indeed. Mainly because it was the month in which we created our first ever ‘Divine Truth seminar’. Organising the seminar helped us feel much more appreciation than we already had for all the preparation work that Jesus and Mary do in regards to creating seminars for us all. Firstly we needed a venue, secondly we needed more tech, and thirdly we needed to plan what it was we wanted to present. We spent quite a bit of time thinking and mind mapping what we would like to create in terms of topics, and then we put a lot of thought in how best to present the material. 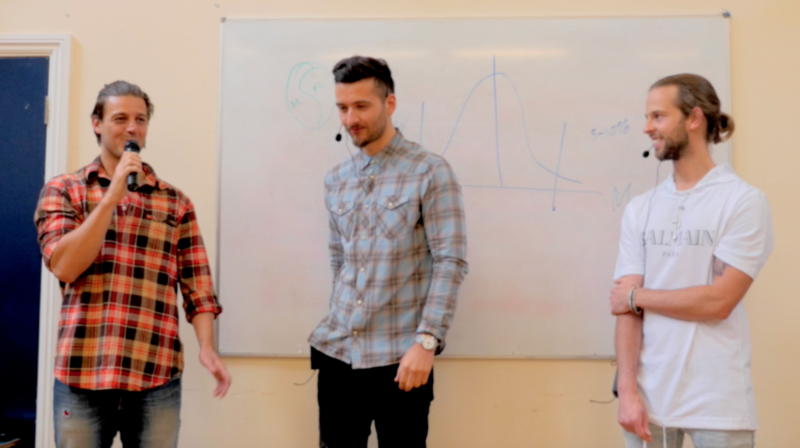 Once we had figured out ‘What’ and ‘How’ we wanted to present, the next step was to think about recording it for future educational resources. This is when we got to really appreciate even further the work Lena and Igor do to record and produce Jesus and Mary’s material for our benefit. I agreed to find a location for the seminar and then sent out invites to people who had already expressed a desire to attend a seminar if we were to create one. I also sent the invites to people (via text/email) who had expressed a desire to learn about Divine Truth. We were careful to not ‘market’ ourselves, as we wanted to organise the event in harmony with the laws of Love – A few months ago Mary shared an amazing post on the forum concerning the considerations between Marketing VS advertising which we took the time to reflect upon and understand. We were also really excited to watch the law of attraction take place and see who would attend without the ‘formal invite’. 12 people arrived in total (excluding us 3). Most had been to Jesus and Mary’s seminars before, a few were our friends or relations who had an interest in DT, and there was one really cool chap who none of us had met before called Tom, which was great! In terms of tech and recording equipment, we needed more! So I’d like to give a huge thank you to Nicky for wanting to spend the funds he had received from donations to buy some new high quality gear. I will outline below the expenditures so that you can see how we have spent your donations. Ninja Assassin HDMI recorder & accessories (improves footage quality & has back up function so if the recorded data becomes corrupted, it is not lost). We also needed a sound mixer and a digital recorder. Luckily and gratefully Pete had already purchased this recently for his Divine Truth Podcast creation and so we used his equipment in order to complete our set-up. We already had one high quality camera of Nicky’s to film the presentation, but we wanted two cameras in operation so that we could film the audience and make it look more professional. We didn’t have enough funds to buy the camera we wanted, so we borrowed one from a friend. The night before the event, amongst feeling excited (and some fear!) we were all feeling happy that we had managed to get everything in place until we realised that we did not have a donation box sorted out. We looked around our apartment for something we could use and that something turned out to be a cereal box which Peter expertly converted into a donation box using a pair of scissors and sellotape! The venue cost £120.00 for the 4 hours and £20.00 for car parking. When Nicky was arranging payment of the venue with a member of venue staff, he received a discounted rate by stating that our presentation was being provided free of charge after being asked the purpose of our event. This was awesome! (Now we have all the equipment, the seminars in the future will just have the hall hiring and car park costs, so will be much cheaper to create). At the moment neither of us receive anywhere near enough donations to live off, and so we are attempting to work through the ‘money emotions’ as we continue acting on our various desires. The idea of course is that in the future we would love to be able to ‘live and work’ in our passions, creating and spreading the Truth about God through various endeavours, and we wish to create all of this on a donation basis, sticking to the principles of Divine Truth. We will also be totally transparent with our bank accounts. We are currently working on presenting to you our financial records. At the moment, we have both set up individual sole trader business accounts in which we receive donations, so that we can keep track of our personal attractions with money as we go. In the future we will be looking at amalgamating our personal accounts into a joint one once we are both receiving a similar amount of donations. We both also have other ‘personal bank accounts’ which we have been using prior to Divine Truth. I use this account to receive my wage from my full-time job. Nicky has enough savings at the moment from his previous job to pay for his day to day living and monthly expenses i.e. rent, food, travel, bills etc and so at the moment, Nicky spends much of his time on a wide range of activities (outlined on our donations page) essential in helping us continue being able to share God’s Truth with others and being of service to others on a day to day basis effectively. Almost all of the donated funds that Nicky has received to date since the Hub site and Forum went “live” almost 10 months ago (total received of £2518.65) has been spent on website maintenance, service costs and equipment purchase apart from £18.20 which he spent on groceries once as an “experiment” to see what emotions it would bring up for him! I personally have no previous savings at all, and so at present I have a full time job to pay for my rent, food, travel and utilities etc. My donations account went live on the Hub website in March 2016 and since then I have received £125.00 donations thus far (thank you), and that has been spent mostly on my living costs, as my last job wasn’t a well-paid job. I have literally just changed jobs, which does pay me more, and gives me more free time (time to spend on DT) which is awesome. We have just finished editing all of the footage from the seminar and hope to have that uploaded on the Divine Truth Experience channel really soon – hopefully it will be of benefit for others who were not in attendance to learn and enjoy. The editing of the seminar footage was a real challenge, we spent a lot of time learning and developing our software based skills so this is why there has been a bit of a delay in getting this onto the net. Our friend Courtney flew in from the United States and came to our seminar, Courtney is also super passionate about sharing Divine Truth. She also helped us film the event (along with our other friend, Becks), which was really appreciated. Courtney stayed at our place in London for 2.5 weeks, and so we also used that time to film an interview with her on the subject of ‘Removing parental emotions towards God’. It was such a great interview, and I think you will love it too. This has already been edited and again we will upload it very soon. I also have my own blog in which I love to write poetry and stories (true personal stories) about my experience on the Divine Truth Path. It originally started out as a blog to journal about my ‘raw vegan lifestyle’ but as I came across DT, I started to mostly write about my experiences on ‘the way’. Find my blog @ ‘Perry’s Raw Soul’. I am also currently in the infancy stages of writing a fiction book related to the Divine Truth teachings, however this ongoing and I am not sure when it will be finished, as time is being taken up by lots of other endeavours, including my full-time job at present. 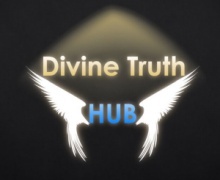 If you haven’t already, then please check out the Divine Truth Podcast created by Peter. We both feel that this is such an awesome idea in providing another effective medium of spreading God’s Truth on the planet, and feel it will be a really valuable source of inspiration to anyone who listens to the episodes. We are looking forward to hearing future episodes! Click the link provided above for more info. We will be looking at setting up a second event at the same venue as our first and will be aiming for this to occur towards the end of July. Thanks guys for reading, I hope you feel more informed, and thank you again for everyone who has donated, it is very much appreciated.